Everything you need to source 5x more candidates. 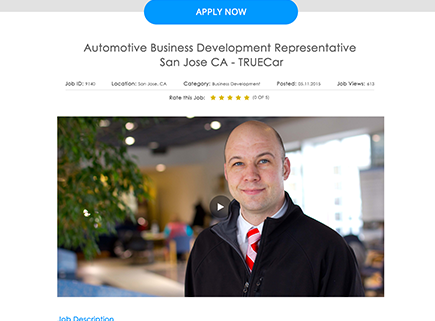 After creating a job advertisement within our recruiting software, you'll have the option to purchase paid placements through job boards like Indeed, Jobs2Careers, ZipRecruiter and Juju. There's no need to set up separate accounts with each website; everything can be done through your AutomotoHR account. We partner with a variety of sites and frequently offer our clients the opportunity to buy paid placements at a discounted rate. Once you've bought a paid placement, your listing will receive priority in job seekers' searches. When a candidate applies to a paid placement, their application will go straight to your AutomotoHR account. Our HR and Recruitment software will create a branded careers site for your organization that includes all of your job openings. Candidates can apply to openings directly from the page. Once your openings are online, you need job seekers to find them–but sometimes the traffic doesn't flow in immediately. Every careers site created through our HR and Recruitment software allows visitors to transmit job openings via email, Facebook, Twitter and LinkedIn, with one-click social sharing buttons. Additionally, visitors can sign up to receive email notifications via RSS feed when you advertise a new job vacancy online. 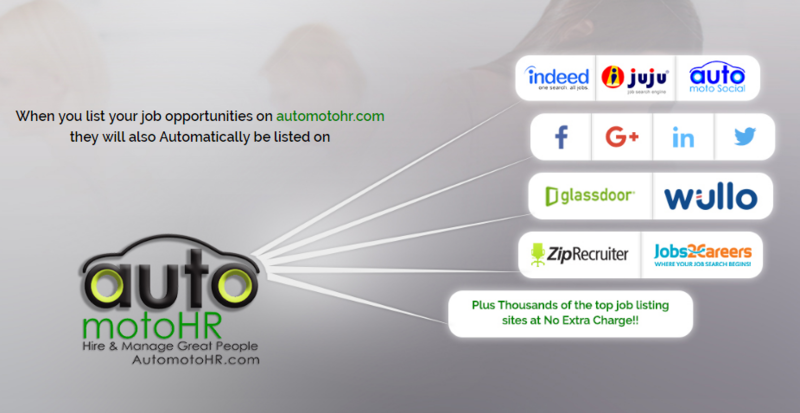 Because it's so easy for visitors to your AutomotoHR branded careers site to share and receive information about new openings, your site is that much more likely to meet your HR and Recruitment advertising goals. And the more visitors you draw to your site, the more applications you'll receive. You've created your Job openings–now you want to spread the word! Today's job-seekers frequently turn to social media when looking for their next career opportunities. 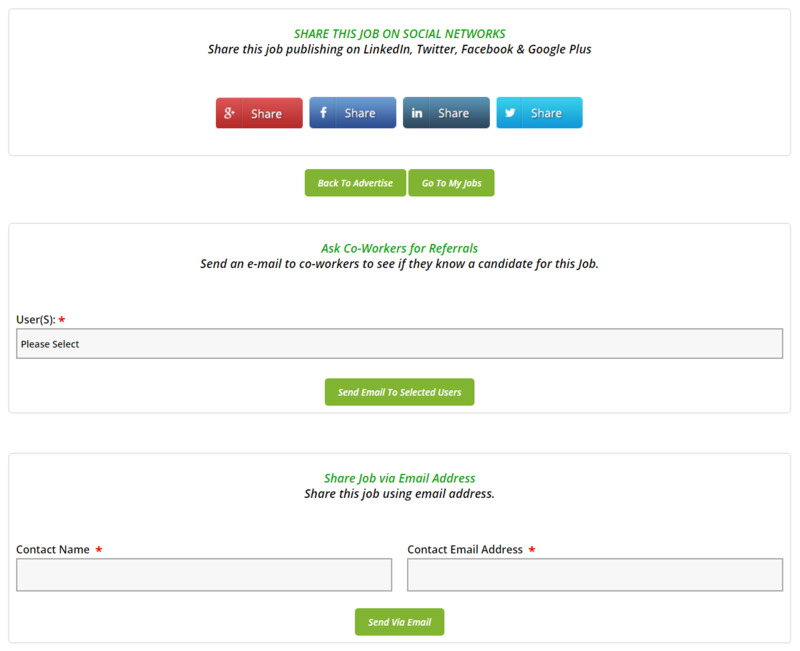 Our social media sharing tool allows you to post openings to your social accounts directly within our HR and Recruiting software. You've created your job openings and posted them to your website; now you need to drive traffic to your career opportunities. 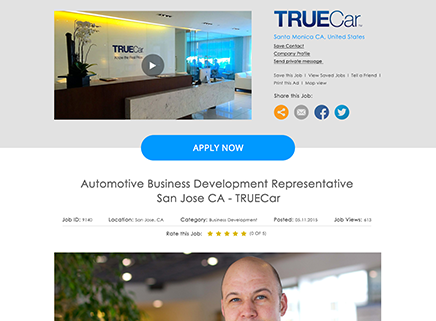 In addition to posting to job boards like Ziprecruiter and Indeed, you can post your openings directly to your social media accounts–all without leaving AutomotoHR. Once you create an opening in AutomotoHR, you'll be prompted to post the opening on your Twitter, Facebook and LinkedIn accounts–all with just one click of the mouse. This way you can reach your network–the audience that already follows your organization and will be the most likely to be interested in your opportunities–and directly communicate your opportunities. These days, you never know how your next great candidate will learn about your opportunity. Our social media sharing functionality allows you to efficiently maximize your reach. 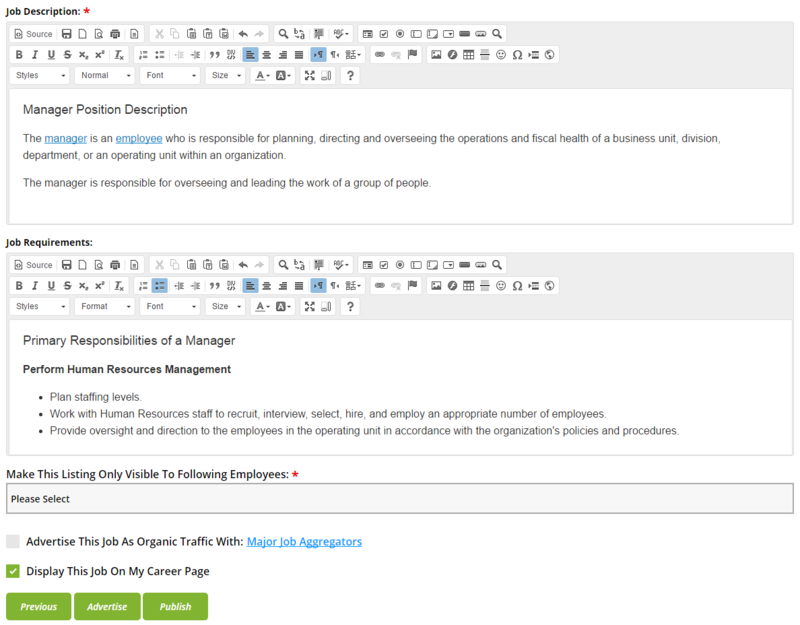 When publishing a job opening through our HR and recruitment software, it will automatically publish to Multiple different job search engines as well. If you publish an opening but it isn't on websites like Indeed and Jobs2Careers, does it really exist? If you're having trouble attracting applicants to openings that have solely been published on your website, it might not feel that way. 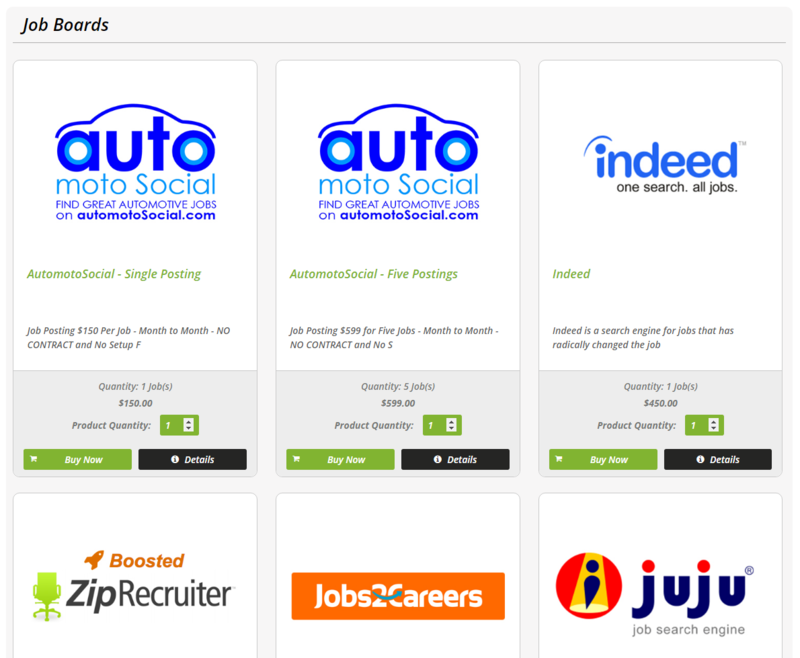 When you post jobs online with our recruitment software, in addition to appearing on your Company careers site and jobs widget, AutomotoHR automatically pushes the opening to multiple job search engines: Openings that appear on job search engines are much more likely to attract applicants. Active job seekers may not be checking your website every day for new positions, but chances are they're checking at least one of these boards for syndicated jobs. If you prefer that an opening doesn't syndicate to one or all of the boards, you can always turn off the syndication option. When a candidate applies to a listing they find on a job board, their application will go directly to your AutomotoHR account. Our HR and recruitment software's job search engine syndication makes it easy and efficient to post job openings that can be viewed by thousands of potential applicants. With just one click, you can exponentially increase the reach of your openings–for free. Let AutomotoHR do the work. With the Media Services concierge offering, AutomotoHR will recommend and purchase all your job advertising media at no additional cost. Get a head start on creating great job ads with our redesigned job creation process. Start with “grabbing” from similar job ads that have performed well for other AutomotoHR. Define and add your hiring team upfront to ensure all the right eyesare on the candidates as soon as they apply. In two simple steps, publish your new job to your career website and the free job aggregators. 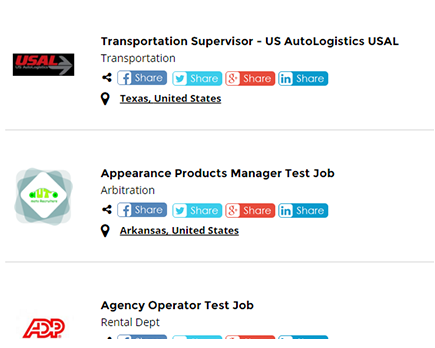 Quickly add logos to job ads for multiple brands. Easily choose the appropriate logo when creating job ads for different brands, and let your brand shine. Bring your jobs to life to attract the best talent Job descriptions only explain so much. Add a video directly into your job ad & make your employment brand shine. Tell a more compelling story about the opportunity and get candidates interested to learn more.